INTERKULTUR President Günter Titsch does not only promote the youth in choral singing. 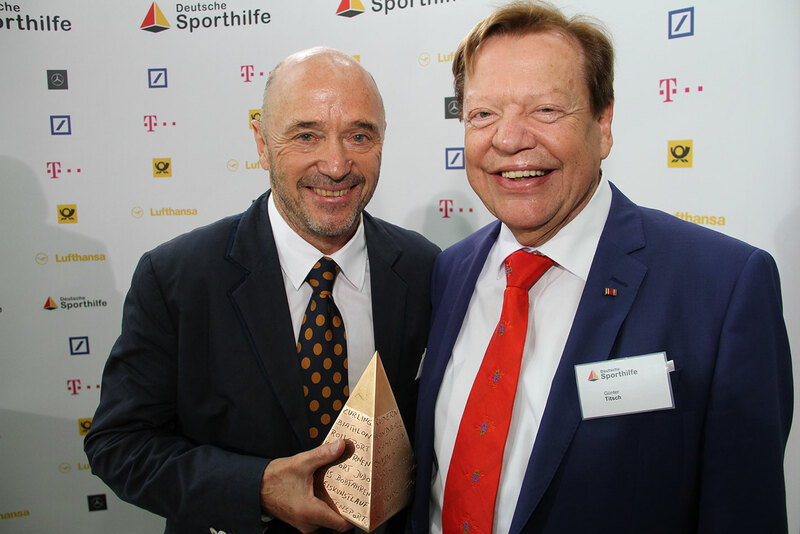 In his capacity as a trustee at the Deutsche Sporthilfe he also supports its activities to promote talented junior sportspeople. “Choir singing and sports bring together mainly young people all around the globe. They promote a peaceful living together of the people,” said Titsch concerning this engagement on the edges of the awarding of the “Golden Sports Pyramid 2017” at the German Chancellery in Berlin. 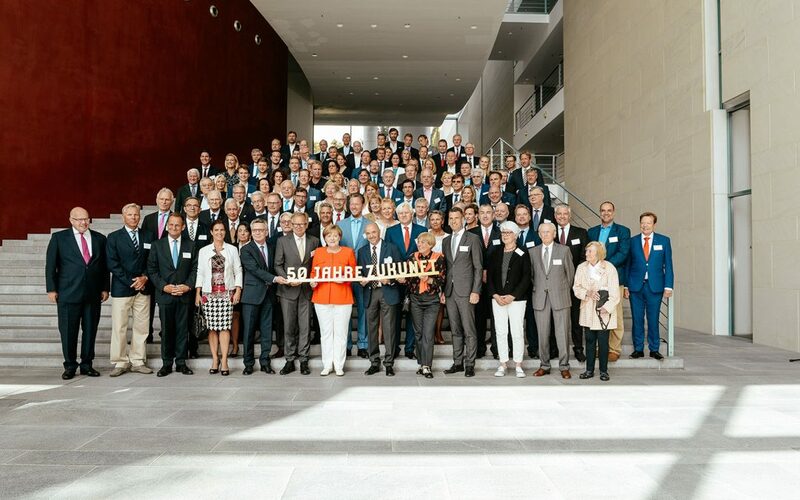 During a reception of the Deutsche Sporthilfe in the course of celebrating “50 years of Deutsche Sporthilfe” the legend of skiing, Christian Neureuther, received a lifetime achievement award in appreciation of his position as a role model for the youth in both professional and societal fields – attended by the German Chancellor Angela Merkel, minister of the chancellery Peter Altmaier and Interior Minister Dr. Thomas de Maizière and other celebrities. At the same time Neureuther was thus added to the “Hall of Fame of German Sports”. 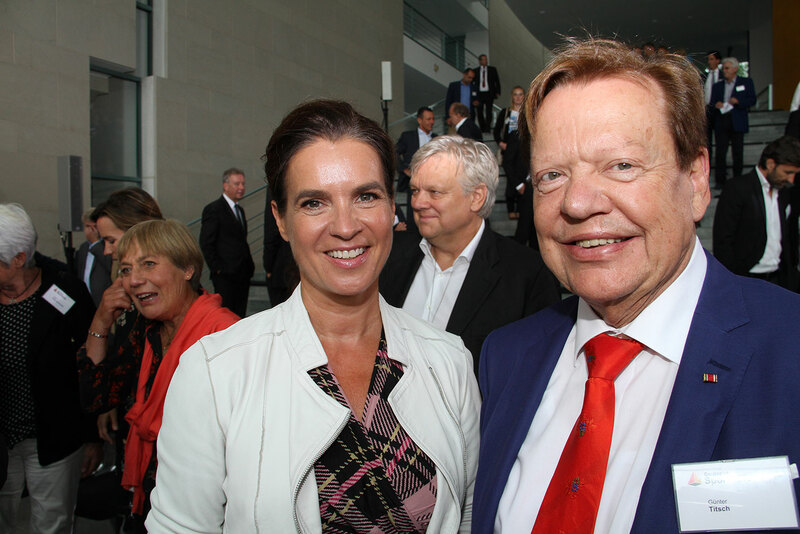 Titsch expressed his congratulations to the awardee and in the course of the reception hold many talks with celebrities like the German “Princess on ice”, Katarina Witt and others. At the same time he promoted the worldwide choral movement and INTERKULTUR as its most important supporter worldwide. On Saturday Titsch will travel to Riga, Latvia, where he will open the Grand Prix of Nations & European Choir Games 2017, which will be attended by 155 choirs. For the first time the Eurovision Broadcasting Union and its international broadcasting network will determine the “Choir of the Year” in a TV show in cooperation with INTERKULTUR. In Germany the recordings will be aired on WDR and SWR as well as on ARTE. On July 22 there will also be a live stream available at www.eurovisionchoir.tv.